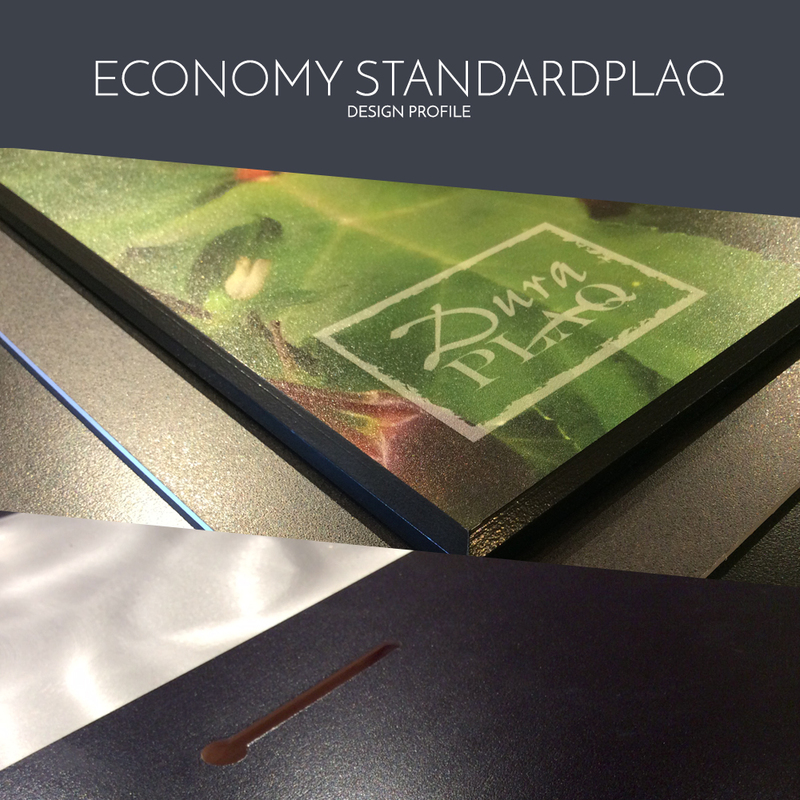 The Economy StandardPlaq offers high quality, budget-conscious price by eliminating the need for paper prints and surface finishes. An image is direct printed to the material with a state-of-the-art, UV-cured printing process that requires no added coating for protection. This process is eco-friendly and does not use solvent-based printing processes. Printed directly to DuraPlaq®’s exclusive eco-conscious 3/8” premium wood product, this product’s acid-free, moisture resistant construction will create lasting art. Economy StandardPlaqs have a slightly softer print than a traditional StandardPlaq but maintain a great fine art, cost-effective alternative. 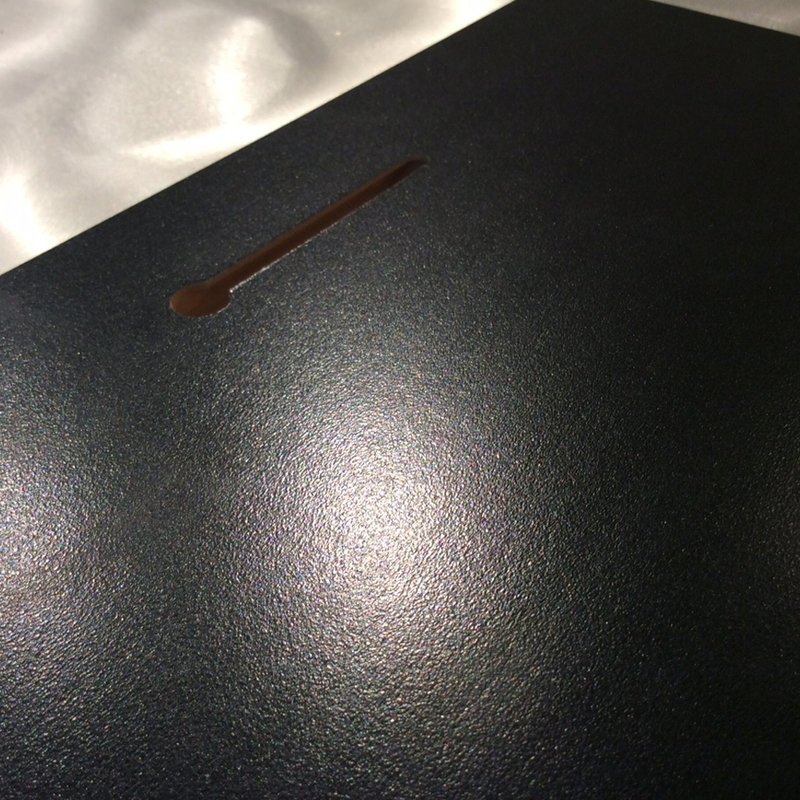 The Economy StandardPlaq is coated black on the back to give it a sleek look from front to back and given a keyhole hanger for flush and secure wall mounting. Customized with selection of beveled edge colors. DuraPlaq®’s exclusive eco-conscious 3/8” premium wood product coated with an acid-free, moisture resistant finish for ultimate protection and longevity of artwork. This product is available up 48” x 96”. Overall depth of product is 3/8”. Slotted keyhole complete with specially formulated keyhole screws. Each Economy StandardPlaq includes keyhole locators for ease of hanging. Please visit the care section for hanging instructions; the Economy StandardPlaq will hang similar to the StandardPlaq. Economy StandardPlaqs approximately 8” x 10” and under additionally include a dowel for the option of stand alone display. Wire hangers can be added to Economy StandardPlaqs; however, DuraPlaq does not warranty or recommend this hanging method due to instability in hanging. Beveled with available color options shown above. Standard bevel is 3/16” wide; custom bevels available. Please note that when providing artwork or image files, signatures and crucial components of an image or print should be a minimum 1/4” from the edge to accommodate trimming during the production process.